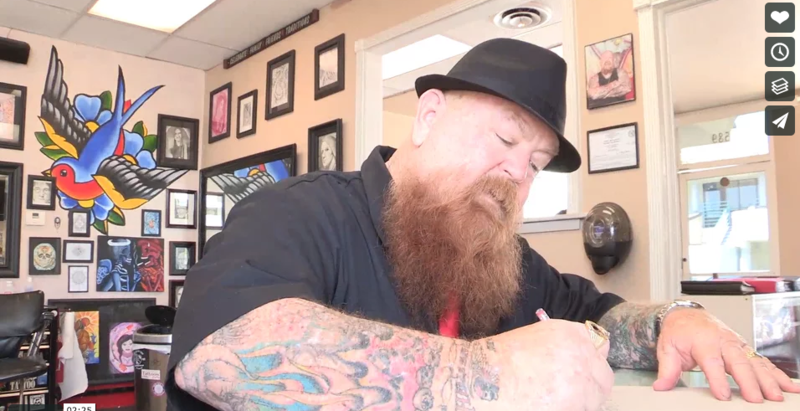 New Tattoo Show “Ink Therapy” Casting People Needing Tattoos in L.A.
Major Television production company casting for a new tattoo series to start filming this spring / summer in Los Angeles. Have you or someone you know suffered a traumatic experience that has left a scar or scars on your body? Would you like the opportunity to cover your scar with beautiful art work from our talented tattoo artists? Our goal is to help you heal through ink and really give our viewers an idea of who you are (your story), what you went through to get that scar and how it has affected your life. We are in the process of building the shooting schedule that is slated to start filming in late May. Some traumatic experiences people have brought to the show so far include. -Burn scars-Abuse scars-surgery scars-Attack scars-Armed forces scars-etc. YOU MUST BE ABLE TO PROVIDE YOUR OWN TRANSPORTATION TO AND FROM LA ON DESIGNATED SHOOTING DAYS. I was a victim of a car accident that was purposely crashed. Out of four people I was the only one hurt. I was in a coma for a month I had to learn how to walk again. My right arm all my skin was ripped off the condition is called degloved, I have skin grafts all up and down my arm. Would love to get these cars covered up. I hate looking at them everyday. I’m Vinny Carlos, when I was 14 I was in a horrible car accident in which my father was killed and my family members were severely injured. Lucky that I survived but was left with some really bad scars on my body and soul still not over it. It’s something I see everyday as a reminder of that tragic day. Would like to memorize that day with a tattoo so that made it will become closure. I’m a custom car builder fabricator and business owner I’ve been on a few TV shows such as Drive Shaft and Monster Garage with Jessie James. Cars building was a passion for me and my Father. I have this awful tattoo on my thigh where I thought I could do my own tattoo, but ummm, it was a disaster. I would love to come on the show and get it covered. it is or supposed to be a star and it is all black ink…. Do you think you can cover it? It covers my whole thigh, please help me. I have a bad cover up, post break up that I need fixed. I had my spleen removed this summer to fix a blood disorder I’ve had since I was young. Could do a scar story if I couldn’t have my cover fixed. Hi my name is Brazil. I have a Scar from walking past a wall sconce. It sliced me to the white meat. I need some creative work to cover the scar. I have three really big tattoos that look horrible. One looks like a dysfunctional Batman symbol across my lower stomach. The other one looks that tribal art gone wrong around my thigh plus it was a cover up already so it has the 3D effect of a Red Virgo symbol behind it and my last one locced out Mickey mouse on the side of my leg. I have some really big tattoos and I need help fixing them.. Looking for a highly detailed full leg tattoo that has been turned down by over 20 shops. The tattoo is large and very detailed all previous artist have told me that the tattoo I want is impossible. I currently wear 21 tattoos some not so good and am more than willing to travel to participate. I welcome the new pain…. I’m an active outgoing person whom loves the outdoors and riding my motorcycle as much as possible, look forward to this opportunity hope to hear from you soon. I have scars on my right arm from being in an auto accident a the age of 17 and have had many surgeries. I am very self confident about wearing sleeveless shirts… I have ink already and qoul love more. I have two knife sounds on my right arm, I was stabbed about 5 years ago o got 17 stitches inside and out. I was stabbed by my aunt my mothers sister who was suffering from drug abuse, the sad thing about it is I lost my mother when I was 6 years old she was murdered. Stabbed 37 times and every time I look at my arm I think of the attack from my aunt and I wonder is that what my mom felt being brutally and repeatedly stabbed. One of my best friends passed away from breast cancer this past Sept at 35 yrs old and I’ve wanted to get a panda tattoo for her memory ever since. It was her favorite animal in the world. I made a locket for her when she passed and I wear it everyday. She is my heart and I want her to be apart of me forever. She always wanted a tattoo but was terrified. This would mean so much. I’ve tried to have a few people draw what I want and nothing seems right. I’m crossing my fingers you guys could make it happen. I’m a cancer survivor and lost 90% of mystomach. I’m living with a permanent feeding tube as well I’ve had hundreds of surgeries and 17 repairs of a gastric leak and fistula over the course of 8 months @ the age of 17. Now I’m 20 and I’m trying to defy the doctors odds adapting on a daily basis. I actually have a rose tattoo on my right shoulder that brings back terrible memories of the end of my relationship with my ex, the father of my daughter. It had turned abusive and he was already with someone else in our home. My tattoo was forever ruined the last time he ever got his hands near me. I would love to cover it up along with that memory.